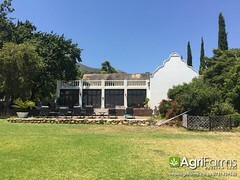 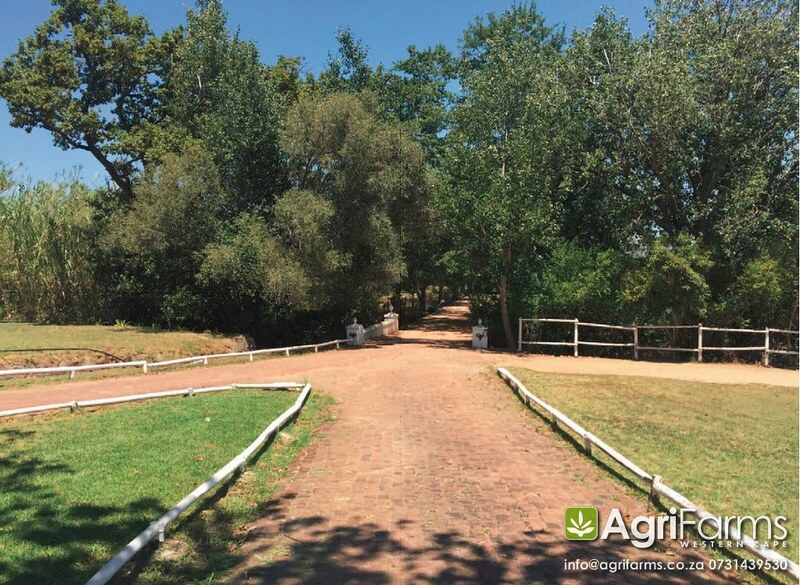 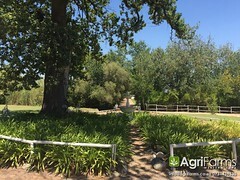 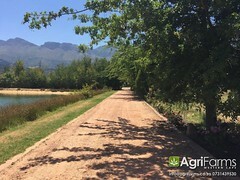 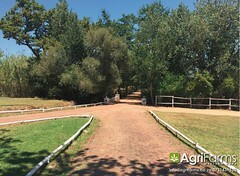 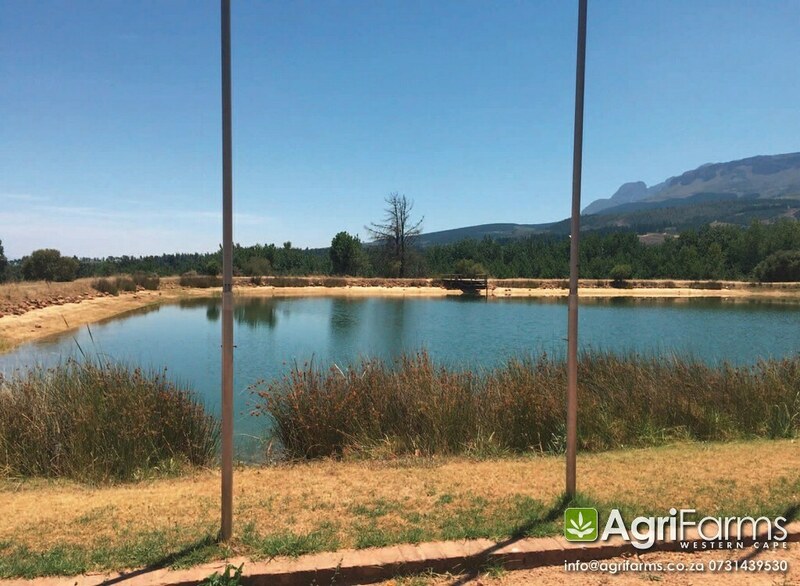 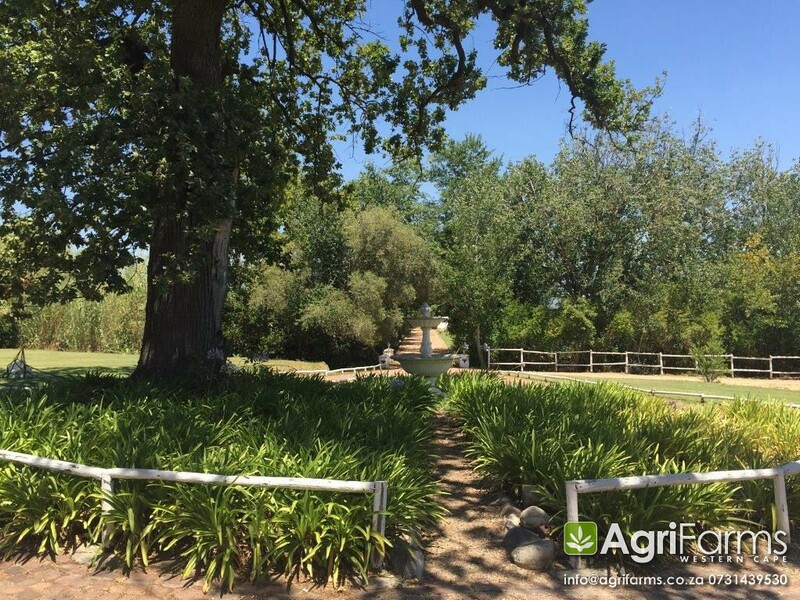 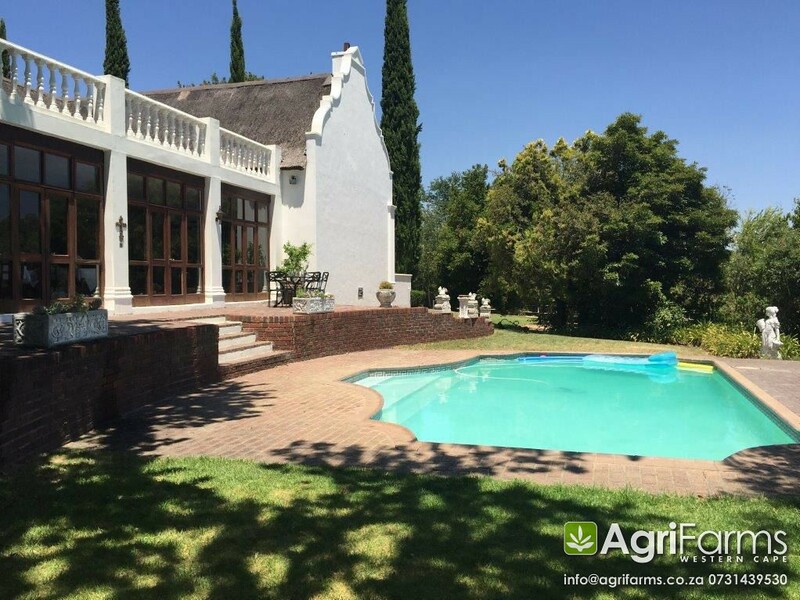 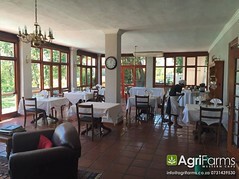 Lifestyle guest farm smallholding for sale around Paarl in the Cape Winelands district of the Western Cape. 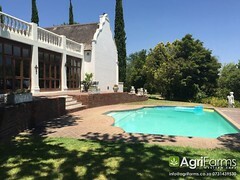 The Estate offers a comprehensive range of traditional Cape Dutch and modern buildings. Built in 1823, the historic manor house (a national monument) reflects the beauty of grand Cape Dutch living, flaunting Yellowwood, Imbuia, Oak and Oregon Pine interiors and high beamed ceilings. 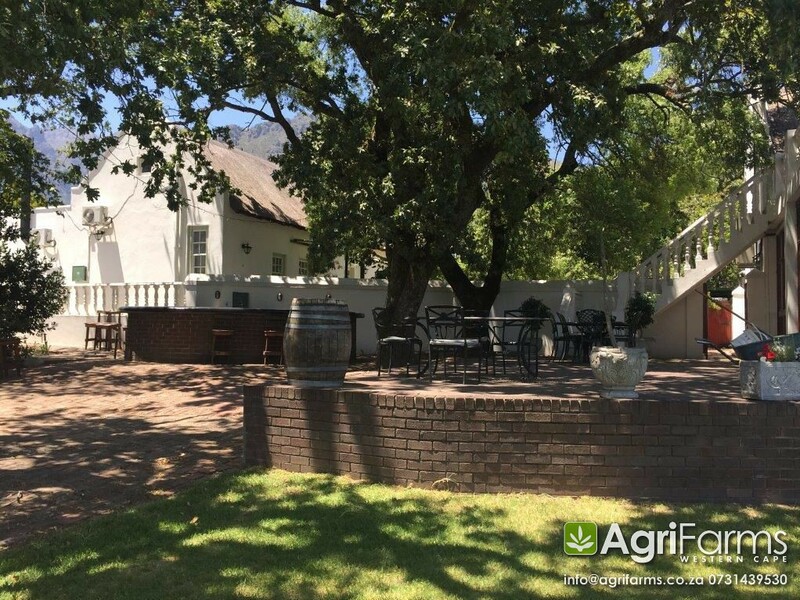 The original wine cellar and “Jonkheerhuis” were converted some years ago into 10 double en-suite guest rooms, each with its own entrance. 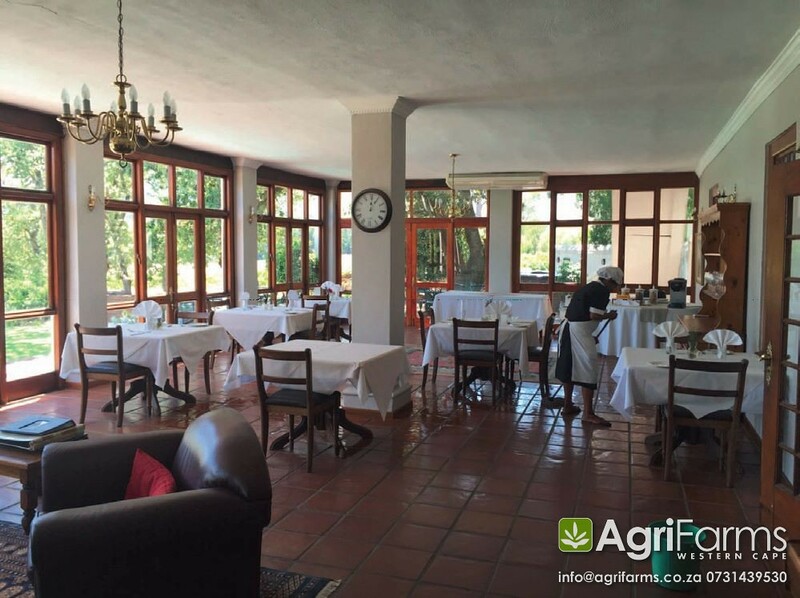 With the exception of 3 loft rooms, all the guest rooms are on the ground floor, each with its own private patio. 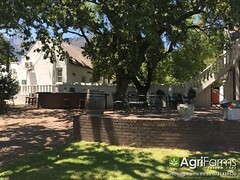 In addition there are 2 modern architect designed residences, a conference centre seating up to 60 delegates, a large utility room, store rooms with a large walk-in safe, a walk-in cold room, staff accommodation for 1 family, small blocks of Cabernet Sauvignon, Chenin Blanc Chardonnay, and an olive grove, ample water and a dam with a capacity of 3 million gallons. Bordering on a river, in its singularly picturesque setting, is the ideal lifestyle farm, with many possible alternative/additional uses. 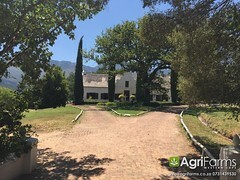 As the owners are retiring, this is a rare chance to acquire a piece of paradise and a once-in-a-lifetime opportunity to exploit the myriad options which this unique property offers.